The Albert L. & June B. 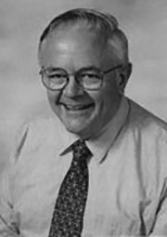 Powers Scholarship Fund was established by The Scholarship Fund Board of Trustees in recognition of Al's contributions to the Concord-Carlisle community as a Teacher of Chemistry and Head of the Science Department at Concord-Carlisle High School and as a Trustee and long-time Treasurer extraordinaire of The Scholarship Fund. As a college freshman in 1959, June was barred from her university's engineering math program by the Dean of Engineering who told her, "There's no place for women in engineering mathematics!" June ultimately earned a graduate degree in engineering and became an accomplished mathematician and CAD programmer/educator. In response, it is Al's hope that June's example and this award will be used to encourage women who aspire to careers in mathematics, science, or engineering. by a limit imposed from without, but falsely identified as lying within."